Congressman Moore and Mrs. Shelley Moore meet Pope Paul VI at the Vatican in 1964. Moore’s congressional archives include more than 200 boxes of speeches, legislative materials, campaign and Republican Party files, West Virginia public works project documentation, correspondence with constituents, and more. The archives document his service on numerous committees and subcommittees, including Judiciary and Select Small Business. Throughout his tenure, Moore supported civil rights and public works bills and was involved in several significant pieces of legislation, such as The Criminal Justice Act of 1963, The Civil Rights Acts of 1957 and 1964, and The Immigration and Nationality Act of 1965. He made numerous international trips, in particular visiting Vietnam during the war. Center staff digitized more than 900 images from the archives and made them available online. The photographs capture Representative Moore speaking at press and campaign events, working with fellow committee members, traveling overseas, and meeting with constituents. He was photographed with Republican Party leaders, presidents and presidential candidates, military officers, and other members of Congress. Moore’s collection is one of the largest in the Centers’ holdings. It contains documents from both his congressional and gubernatorial careers and continues to be processed. Individuals interested in using the collection should contact the Congressional and Political Papers Archivist. 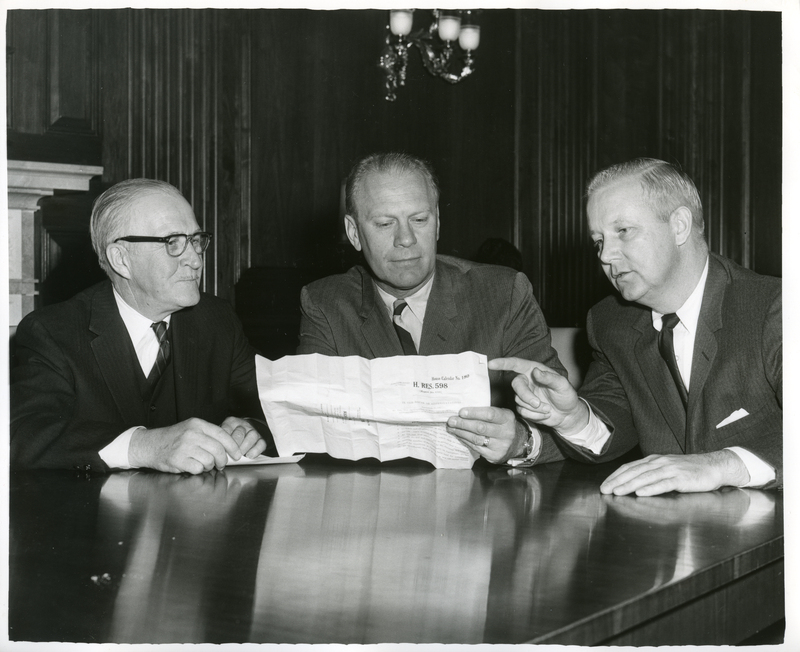 Congressmen Arch Moore (right), Gerald Ford (center), and William McCulloch reviewing a House Resolution, circa 1965. 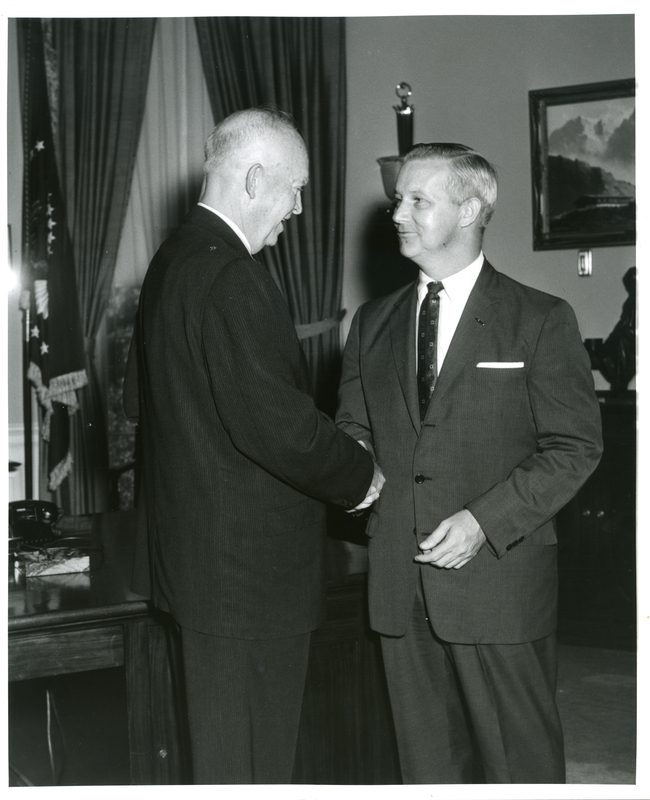 Congressman Arch Moore shakes hands with President Dwight D. Eisenhower, circa 1957-1960. 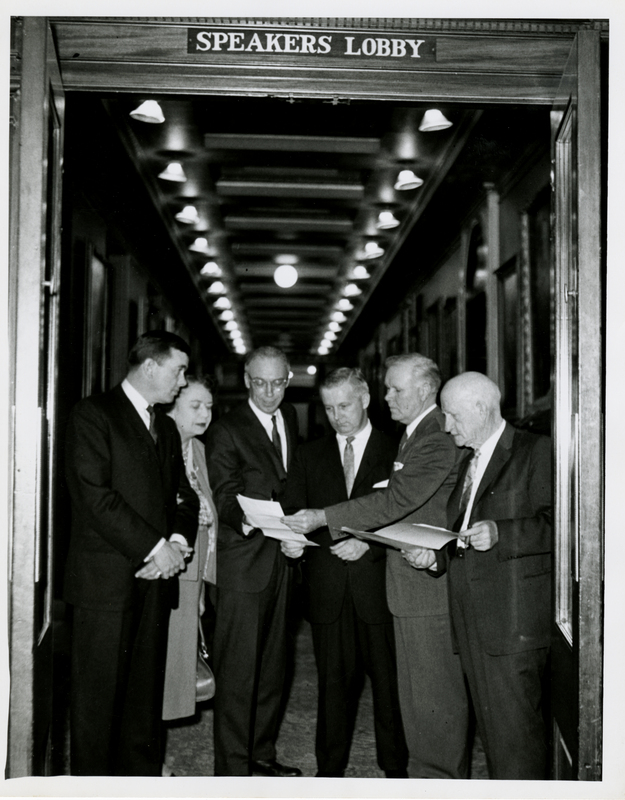 The West Virginia delegation reviews a document in the doorway of the Speaker’s Lobby in the Capitol, circa 1957-1959. From left to right: John M. Slack Jr., Elizabeth Kee, Ken Hechler, Arch A. Moore, Jr., Cleveland M. Bailey, and Harley O. Staggers Sr.